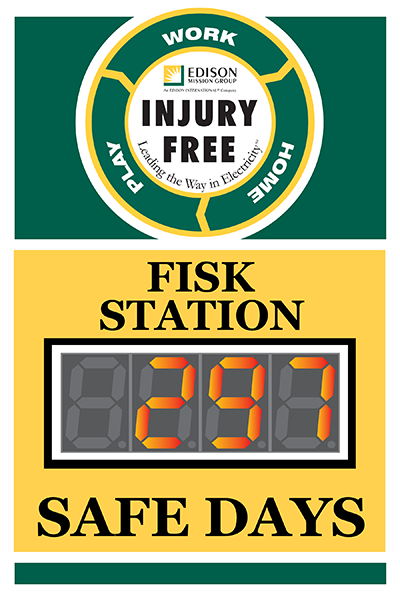 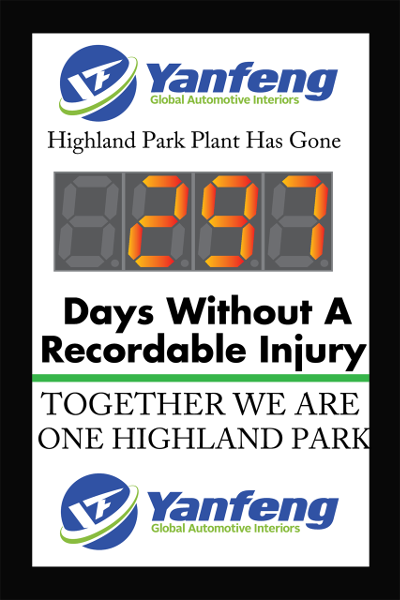 Accident Free Workplace Sign - Customize Online! 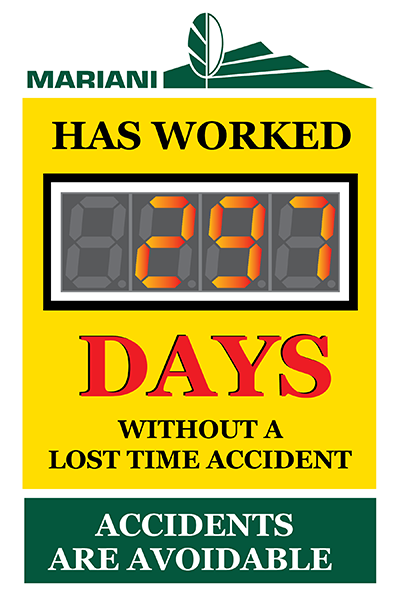 Accident Free Workplace Sign : Customize it Online! 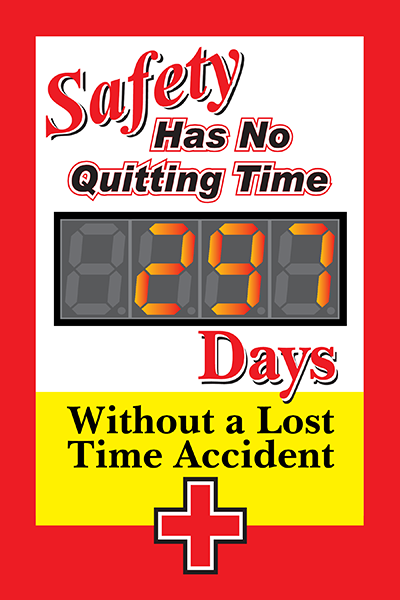 This medium sized accident free workplace sign with five inch counter will keep workers focused on safety. 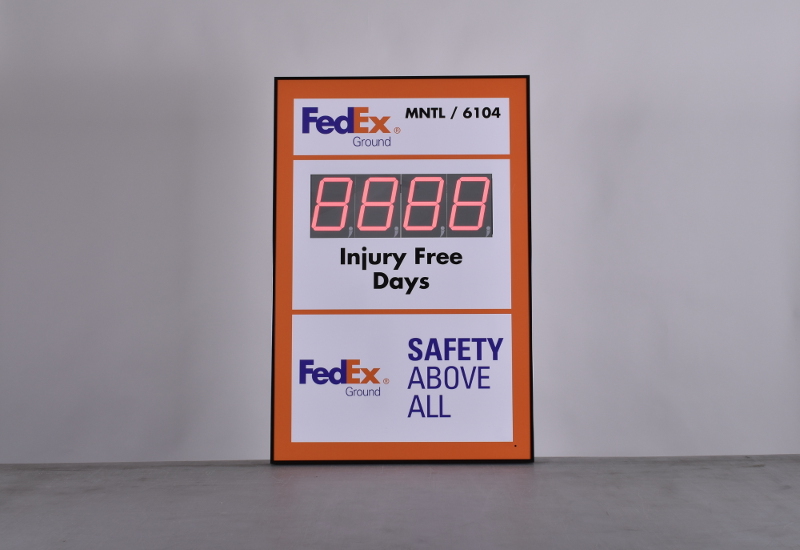 Customize this sign easily by adding your logo and desired lettering and placements with our online designer. 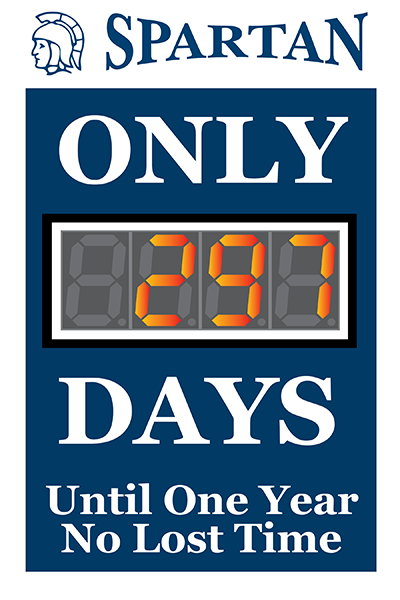 Many people subscribe to the philosophy of, “What gets measured, gets done." 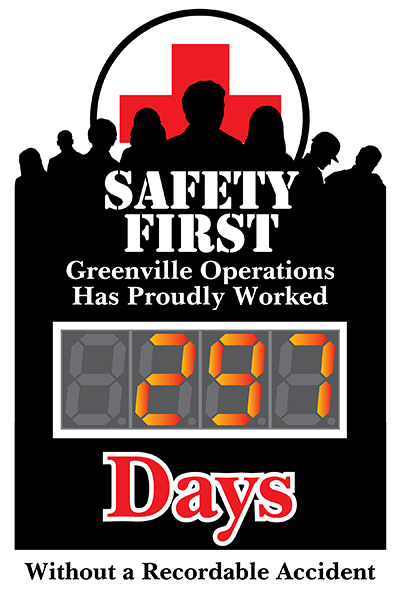 An organization that promotes safety performance daily demonstrates that safety is valued. 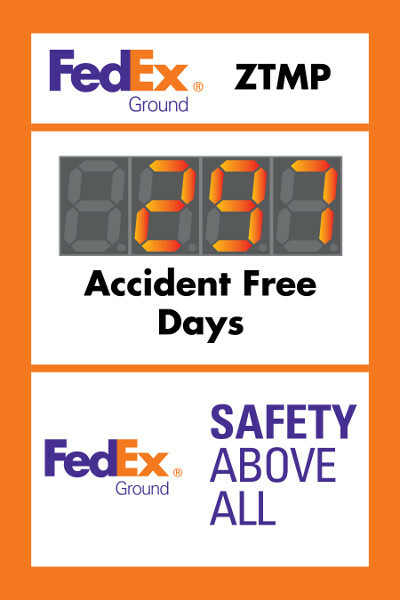 An effective way to promote your safety metrics is with this 36" high by 24" wide safety scoreboard with integrated 5" LED safe days counter. 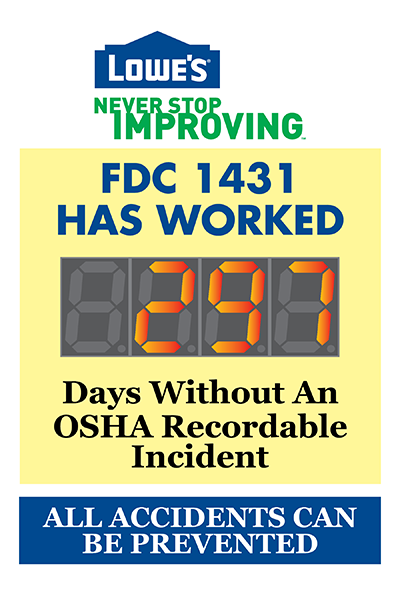 The four digit day counter will automatically update the current count by one each night at midnight so you don't need to worry about updating the sign each workday. 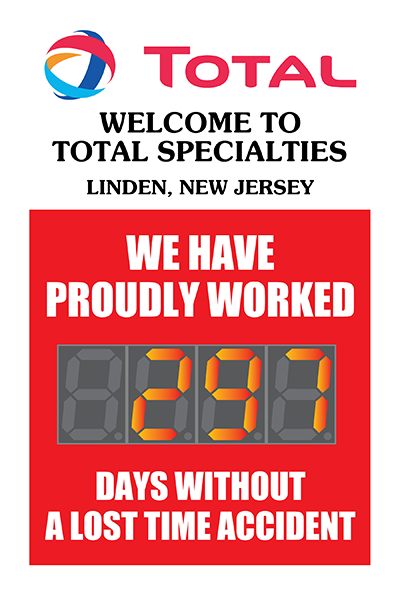 Our online designer makes it simple to build a sign exactly as you need it. 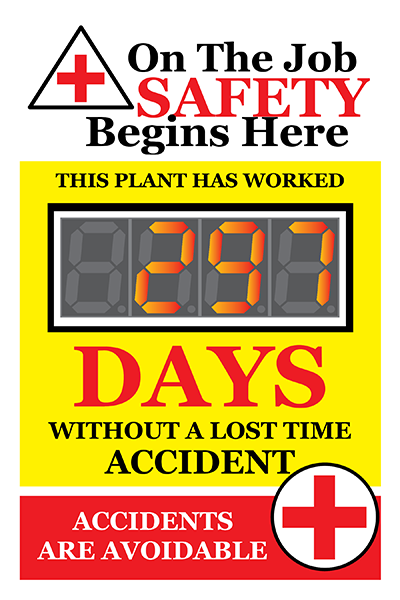 Simply use our online designer to place logos, background images, displays and text where you want them and order. 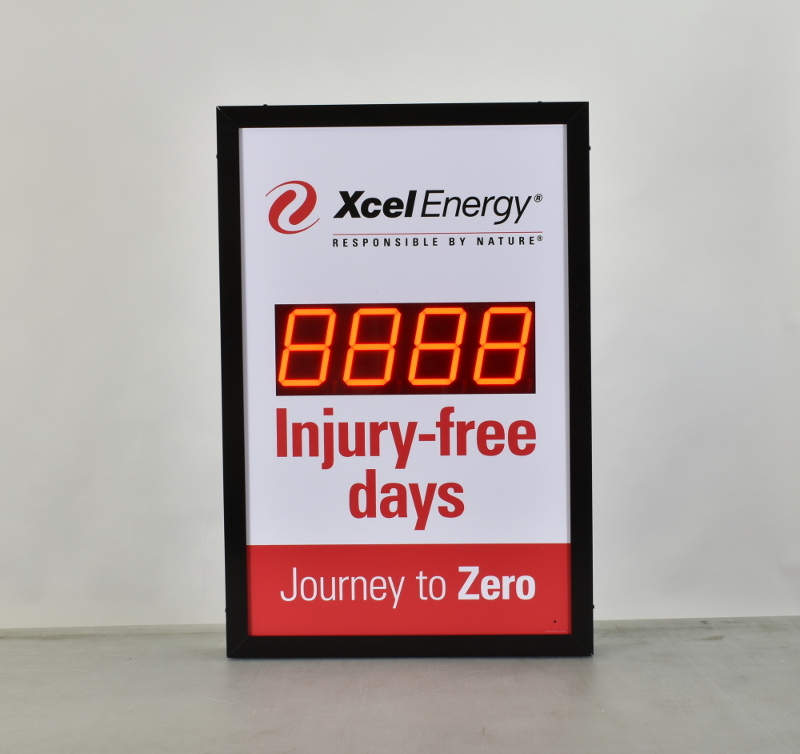 Our designers will look over you design to ensure manufacturability and then provide you with a final proof to approve before any work begins.